In the early life of the Swoosh Brand’s new Air Force 270 silhouette, Nike has been using it as a vessel to pay tribute to different parts of the Beaverton-based company’s storied history. Whether it be an iteration inspired by the brand’s iconic shoeboxes, or a colorway that has stood the test of time, the Air Force 270 appears to be hear to stay. Next up, Nike is paying its respects to the 1992 Olympic Dream Team and the Air Force 180 sneaker that Charles Barkley wore in action. In fact, the Air Force 270 sneaker takes the lifestyle-engineered Air unit of the original Air Max 270 and places it under an upper that takes clear inspiration from the AF180. Navy, red, and metallic gold create a familiar aesthetic on this new offering, with a gradient midsole that utilizes a gold splatter pattern for an extra regal touch. 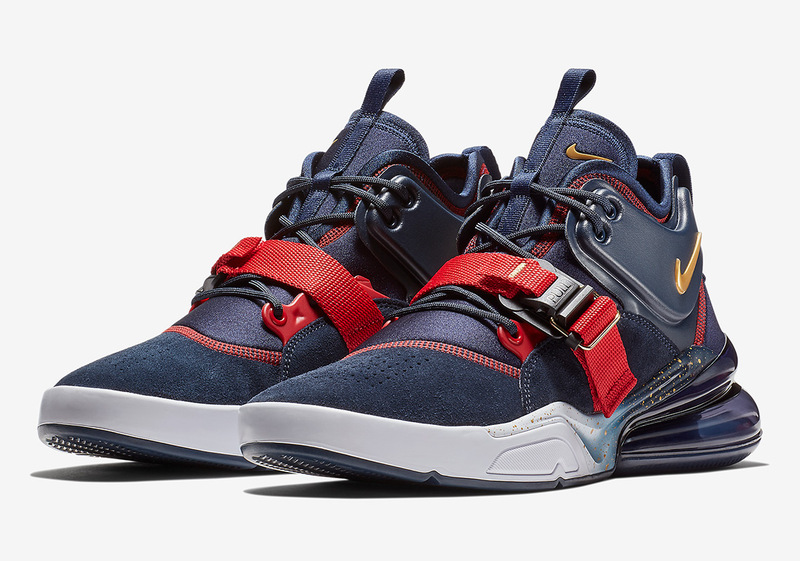 Official images of this Dream Team-inspired Air Force 270 are available below, while the shoe is expected to arrive on Nike.com soon.